Gaming Club Casino is a gamblers favorite that has been online since the begging of the internet! We will review this casino and tell you all about the Gaming Club Casino bonus. The Gaming Club Casino is world a world famous gambling site with daily bonuses to players all over the world. With a classic layout on their official website, it will feel like you are gambling in a stylish real casino. This casino is so special that it has already been awarded eCOGRA Seal of Approval 1, one of the most prestigious awards in the online casino industry. eCOGRA is an association created to protect online gamblers. For that reason it regulates all the money transactions made with the gamblers deposits and prizes collect. Gaming Club is part of GVC holdings, a big UK company listed on the London Stock Exchange. This means that this gambling site is a wealthy company. You don’t need to worry while placing your bets here. MGA ( Malta Gaming Authority) regulates and monitors the company everyday. Registration on Gaming Club Casino is really easy and fast. You only need to fill your name , phone number and email. There is no need to verify your email address, but we truly suggest you to use a real one in case you need to get in touch with the casino’s support team. At the time you register, you get access to the casino lobby. There you will find a complete portal with many betting options that we will review in the next paragraphs. Gaming Club Casino has a big partnership with many games providers in the gambling world. This means that more than 1000 games are available to play at the site. Evolution Gaming; NetEnt; Play’nGo; Red Tiger; Win Studios and YGGDRASIL are the responsible companies behind the casino games available in Gaming Club brand. If mobile gambling is your favorite option, Gaming Club casino is the place to go. The website if fully compatible with mobile phones and tablets. Can you imagine playing your favorite games while going to work? Yes, it is possible! After you register and login, you will find links to download their Gaming Club Casino App for Iphone or Android. You simply just need to login with your mobile device and there will be an option to download the app according to your device operative system. If you don’t want to download the app for your phone or tablet, you can also play it in your web browser. You will not find any difference of playing their casino games on mobile or computer. You will also have the option to rotate your phone or tablet screen to gamble in full screen mode. Finally you also have the option to Download Gaming Club Casino software for your Windows Pc or Mac. This will let you experience the entire casino website but in a software that gets installed in your computer. Everything will be exactly the same. In contrast of having to open your favorite browser and type the website URL, you’ll simply need to open the software and enter your player login details. It is also a better solution for people with slow internet connection or that have Flash Player issues on their systems. We truly suggest you to play online via the download option for a better gambling experience. When you register for Gaming Club Casino, you will always be eligible for a deposit bonus. Please not that this casino bonus is only valid for new players. If you already have an account at this gambling company, and want to get the first bonus, you will need to create another one. To create a new account at Gaming Club Casino, you simply have to use an email address that hasn’t been used before. We’ve tested this method and it actually works! We opened two accounts with different emails and got no issues! First of all the welcome bonus are divided in two types of casino games: Roulette and Slot Machines. For roulette, your deposit bonus will match up your original deposit up to 250 euros or dollars. This means that when you deposit in example 100$, you will have 200$ to play at the best online roulettes. Slot Machine bonus have the same maximum amount, but this time its at 125% deposit match! It makes it even a better deal to play at your favorite slot games. If you deposit 200$ to play online slot machines, you will receive free 250 in credits and play with 450$. There are also promotions and bonuses available for current players that don’t want to register a new account. Above all make sure you provide your real phone number and email address. This casino sends information to active players very often. Gaming Club Casino provides bonus on a daily basis, as a result we suggest you to keep them tracked at your email inbox. Progressive Jackpots at Gaming Club are one of the best in the market. Some of their games are made in a way, that whenever a player gambles in one of its selected games, the Jackpot prize will keep growing exponentially. Consequently this jackpot is delivered in a complete random way to players who are playing at a right time. You just need to pick up a lucky win! The more you bet on a progressive jackpot or machine, the bigger the odds to be selected as a jackpot winner. Some of the games featuring progressive jackpots are: Bay Patrol; Fire Burner; Knights of Glory; Space Tale and Luck O’ The Jackpot. Free spins are available for depositing players at Gaming Club Casino. The free spins promotions change every month, but usually you will have at least 340 free spins in slots per month. This free spins are always changing between any slot machine. Therefore you need to check on a certain day which slots are having the free plays. Please have in mind that this kind of free plays are available only for depositing players. As a result to get access to this exclusive deal you need to deposit. Doesn’t even matter the amount. If you are on a budget, you can deposit just 10 dollars or Euros and still be eligible for free spins. According to our review we don’t think Gaming Club has no deposit bonus on their casino. However, if you deposit after creating your account, you will be eligible for all kinds of promotions that are really worth it. Finally, please take in mind that if you do accept the deposit bonus, you might need to complete some requirements before payment. This requirements called Wagers, are the number of times you have to play the “free credits” to be entitled for payment. It varies in every casino. Simply contact support to know their Wagers requirements. Below we will answer some Frequently Asked Questions about Gaming Club Casino made by players when they first register. Another questions not answered here, could be asked directly at the website. Depositing and collecting winnings at Gaming Club is easy as 1, 2 3, simply go to the lobby and select the option “cashier” where you can deposit or withdrawal funds. Deposits are made with the usual credit card and Bank Transfer options, but also with Paypal, Skrill and Neteller! This is almost exclusive as not every casino works with Paypal. By using this service gamblers feel even more secure with their money transactions. Withdrawal is also really easy in Gaming Club Casino. We made the test and had funds transferred to us in less than 24 hours. You can select the same method you chose for depositing, or simply select another one of your choice. After that a member of Gaming Club finance team will review your earnings and send you the money in less than 24 hours. 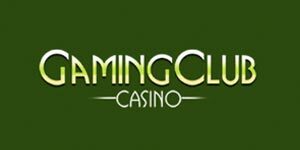 Gaming Club Casino is available in: English; French; Spanish; German; Swedish; Finnish; Greek; Norwegian; Polish and Russian. There are three ways to get in touch with Gaming Club Casino support lines. Email, phone number available at the website, or the live chat options. All this three lines are available in all languages supported by the website. Finally we truly suggest the Live Chat option as it is available 24 hours per day during the entire year. 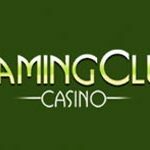 Gaming Club is one of the oldest online casinos on the internet! Since 1994, we have given players millions of dollars each month.